If you’re considering rhinoplasty, this information will give you a basic understanding of the procedure-when it can help, how it’s performed, and what results you can expect. It can’t answer all of your questions, since a lot depends on the individual patient and the surgeon. Contact Dr Nabavian if you are considering a nose job. Rhinoplasty can enhance your appearance and your self-confidence, but it won’t necessarily change your looks to match your ideal, or cause other people to treat you differently. Before you decide to have nose surgery, think carefully about your expectations and discuss them with your plastic surgeon. Age may also be a consideration for rhinoplasty. Many plastic surgeons prefer not to operate on teenagers until after they’ve completed their growth spurt-around 14 or 15 for girls, a bit later for boys. It’s important to consider teenagers’ social and emotional adjustment, too, and to make sure it’s what they, and not their parents, really want. When rhinoplasty is performed by a qualified plastic surgeon, complications are infrequent and usually minor. Nevertheless, there is always a possibility of complications, including infection, nosebleed, or a reaction to the anesthesia. You can reduce your risks by closely following your surgeon’s instructions both before and after rhinoplasty. After rhinoplasty surgery, small burst blood vessels may appear as tiny red spots on the skin’s surface; these are usually minor but may be permanent. As for scarring, when rhinoplasty is performed from inside the nose, there is no visible scarring at all; when an “open” technique is used, or when the procedure calls for the narrowing of flared nostrils, the small scars on the base of the nose are usually not visible. 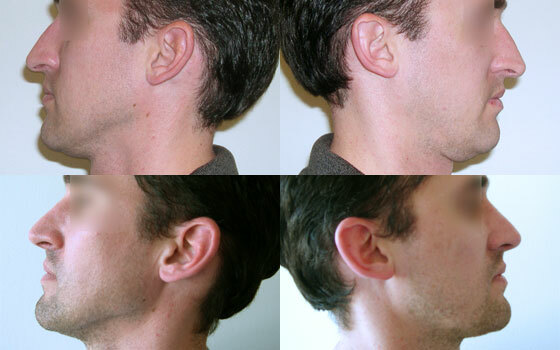 In about one case out of ten rhinoplasty, a second procedure may be required-for example, to correct a minor deformity. Such cases are unpredictable and happen even to patients of the most skilled surgeons. The corrective surgery is usually minor. Good communication between you and your physician is essential. In your initial consultation, the surgeon will ask what you’d like your nose to look like after rhinoplasty, evaluate the structure of your nose and face, and discuss the possibilities with you. He or she will also explain the factors that can influence the procedure and the results. These factors include the structure of your nasal bones and cartilage, the shape of your face, the thickness of your skin, your age, and your expectations. For more answers about having rhinoplasty Santa Monica contact Dr Nabavian.